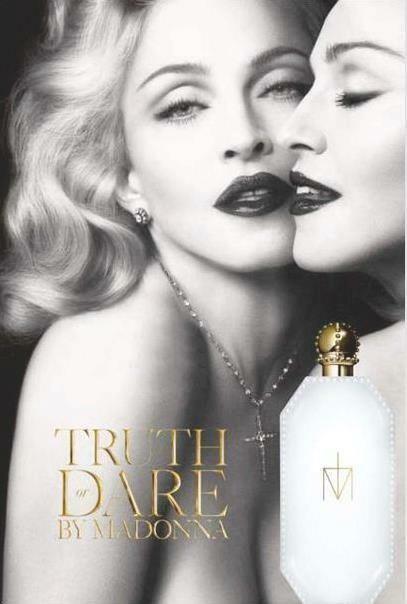 Queen of Pop Madonna has unveiled on Thursday her new fragrance 'Truth or Dare', which according to her was 15 or years in the making. During the interview, Madonna said, "This is finally the time that I developed a fragrance that I liked the smell of. I've been trying to develop a fragrance for the last 15 or 16 years." When asked about the scent of her perfume, Madonna said, "Someone who is daring, daring enough to tell the truth and someone who likes gardenias." Coincidentally, the fragrance was named after her blonde ambition tour documentary, "Madonna: Truth or Dare", which recently came out in Blu Ray. Will you want to smell like Madonna?